I asked my gynaecologist about this and was advised that progesterone was only required for women in their menopause years (and beyond) who were on HRT or other forms of oestrogenic support; this because steroidal oestrogens can cause build up in the lining of the womb and it’s safer to allow a cyclical break to allow the lining to break down and be eliminated via a “period”– hence the addition of progesterone to enable this. In order to achieve this safely and effectively, only prescription progesterone will have the correct amount of drug with proven quality and bioavailability (determined by expensive and time-consuming trials) to ensure it has entered the blood stream to produce the desired effect. 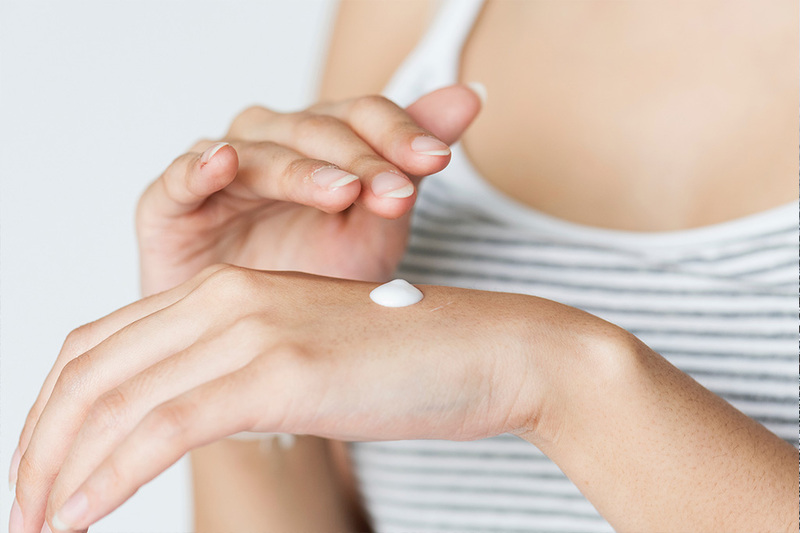 There are several creams online that claim to contain progesterone, but unless they can demonstrate safety, quality and efficacy, it is dangerous to assume otherwise. You may not be getting sufficient amounts of the drug to generate the effects your body needs (eg. Insufficient endometrium is sloughed off which results in the very build up you are trying to avoid). Sometimes products have been found to contain much higher levels of drug than is safe. Remembering that the skin is an incredible barrier and as such, drugs need specific “carriers” to penetrate the skin and get into the body. Check with the manufacturer if you are unsure. Would I Use Progesterone ? No, because I’ve had a hysterectomy, so it’s not required (no endometrium). Even if I hadn’t and was taking my beans, I still would not need progesterone as the beans are not steroidal and based upon independent clinical trials which have been undertaken on the product, do not cause the build-up in the endometrium that you normally get with HRT. These days it is quite easy to purchase medicines online which would normally require a prescription from your GP. Whilst it can be tempting to self-medicate, particularly if you’re working and find it difficult to get an appointment with your GP outside of work hours, this can be dangerous for the reasons we have outlined above. You can get safe and effective progesterone from your GP on prescription which has the advantage of reducing your costs. Many chemists now operate on a system where they can order repeat prescriptions for you which are then available for you to collect at your convenience, including Saturdays.